Přepisy úloh poslechu z podzimního didaktického testu 2015 poslouží k přípravě na maturitu angličtiny. Ideální pro finální kontrolu po poslechu, pokud některým částem poslechového subtestu nerozumíme. 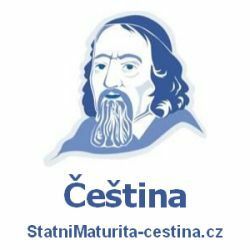 Čím více poslechových testů si před maturitou vyzkoušíte, tím větší šanci na úspěch u maturity máte. Vše je připraveno pro pohodovou přípravu na maturitu z angličtiny online a úspěšné odmaturování. Hi, James. I hope you’re looking forward to the evening as much as I am. Listen, the concert starts at half past seven (6:30). But we should be there at least half an hour earlier which means at seven. Hope that’s not a problem because you need to come home from the office by six o’clock at the latest. I ordered a taxi to pick us up at home at half past six as it will take about a thirty minutes to get to the concert hall. I don’t know the exact time the concert finishes so I didn’t book anything for the way back. Can you call me back as soon as possible, please? A: May I have a look at this photograph? I know this blond man with glasses. That’s your brother. And isn’t the man with the beard sitting next to me your father? B: Oh no. My father doesn’t have a beard. That’s my grandfather. And this cute little blond boy, who is sitting on his knees, is Toby, my brother’s youngest son. A: I see. I thought your brother had two childern. B: Yes, he does. His older son, Mark, was at school when this picture was taken so you can’t see him in photo. You wouldn’t believe Toby and Mark are brothers. Mark is very different from Toby, actually. He has black hair like his mother. A: Oh, dear. This place is closed today. B: You’re kidding. They have the best steaks in town here. A: Well, this isn’t the only steak restaurant in town. I know another one, quite near here. B: No. If I can’t have a steak in this restaurant, than I’d reather eat something else. What about the pizzeria across the street? A: Cate. Have you ever tasted that pizza? I’d rather have a hamburger from that stand over there than that pizza. A: Look. I’m really hungry and a hamburger is better than nothing. I’ll get you one. Come on. B: OK. With ketchup for me please, but tomorrow, we’ll have a steak for lunch. Promise. A: Mary? Where are you? Is everything OK? B: I’m fine. It’s just… I had a small problem on my way to the office. I didn’t crash into any car. Don’t worry. But there’s a traffic jam on the A5 highway because of an accident. So I decided to tak the A4. I was driving on the A4 and everything was just perfect. But then, bang! My front tyre just exploded. I was really lucky there was no other car around. The tyre is completely flat and… well… I don!t know how to change it so I’m waiting fro the car service now. Hopefully, they aren’t stuck in the traffic jam on the A52. Anyway, I’ll do my best to get to the office as soon as possible. A: I’m sure you’ll like this house, Mr Jones. Unlike other houses in the neighbourhood, which only have three bedrooms, this one has five. So it’s definitely big enough for your family. A: Yes. Fot two cars. And there are metal stairs behind the garage that go to the rome above the garage. That room has its own bathroom and kitchen. The owner used to rent the room to two students but of course they moved out when the house went on sale. If you rent it out, you can get at least 300 USD a month for it. There’s a university not far from here so the students are always looking for rooms. B: Hmm, I’ll think about it. And… is that a maple tree over there in front of the house? I’ll show you around. As you can see, right at the end of this hall there is a living room. B: Oh, the living room. But didn’t you say there was a fireplace in the living room? A: Oh, there’s a fireplace in the house. But not here in the living room. The owner wanted to have it in the dining room. And here is the kitchen. The owner originally wanted to take the fridge and the cooker with him but finally he decided to leave all the kitchen equipment here. So everything is now a part of the price. B: Isnt’t it lovely? The owner works for a wood company and he’s very skilled so he did the staircase himself as well as most of the wooden furniture in the house. A: Oh, that’s nice. Is that the garden out there? B: Yes. You can see the whole back garden from here and also the river behind that back garden. It’s perfect for fishing. The water is clear so you can easily see fish swimming around. Going into the water, though, is forbidden. The stream is very strong and it can be very dangerous. A: Well, I’m really falling in love with this place. What’s the price, actually? B: It was 350,000 USD for everything you see but the price went down to 300,000 USD. I must warn you, though. Two other families are interested in this house as well. A: Look, I’m in a hurry. I need to catch the plane at 10.00 AM to London. Check-in opens in 10 minutes. B: Madam, your airplane departure isn’t a reason to break the rules and put people in the streets in danger. A: If I miss the plane, I will be late for my business presentation in London today. And that’s not all. If I don’t get there on time, it would also damage the job of my colleagues and my boss will fire me. A: I’m sorry, madam. This isn’t about your business presentation. This is about safety. You’ll have to pay for driving too fast in the taxi lane. By the way, if you’re in such a hurry to get to the airport on time, why didn‘t you take a taxi? It would be much quicker, safer and cheaper. And now the weather forecast for tomorrow. Let’s begin in the north. I’m afraid spring hasn’t artrived in Scotland yet. A major frontal system will bring very cold weather. There’ll be plenty of rain in this part of the UK, which could even change into snow in the Scottish mountains. Moving south now. In England the weather will, in comparison to Scotland, look more spring-like. You may expect skies without clouds and lots of sunshine. In the west, across Wales, however, another weather system will bring strong winds and several thunderstorms making the weather much cooler for this time of the year. B: No, you don’t. But we’re not speaking about Caroline’s husband now. We’re speaking about you. When did you last help me clean the house? If cleaning your house was your job, you’d loose the job immediately. Just look at the television. How about cleaning the screen from time to time? A: Yeah. But when I get home from the office, I’m tired. I just want to have dinner and watch a little television. I’m even too tired to spend an evening out. B: Do you think I’m not tired? I’m the only one here who does all the work around the house and I have absolutely no time for myself. And going out with you? That’s the last thing I could think of. Welcome to the house of musician Will Smith. It’s interesting that he wrote his most famous songs right here on the ground floor. We’re now in his office. Hanging on the walls of the office are records that made him famous. If you look around the room, you’ll see photos of Will and his second wife Jannet. I’ll let you look around for a few minutes and then we’ll go to the first floor. There’s a library containing Will’s large collection of books, on the first floor. And then, on the next floor, we’ll have a look at Will’s collection of historical musical instruments from all over the world. Finally, on the third floor, we’ll see the private room with the couple’s original furniture.